USPA NEWS - Many scandals of global scale were unearthed in the year 2016, from bribery at FIFA to child abuse in the church. However, the story to have the biggest impact on the corporations, individuals as well as governments of many countries across the world was the Panama Papers. These papers were a collection of more than 11 million legal documents that have information spanning over a period of about four decades. Panama papers were revelatory as they had detailed information regarding the ownership of more than 215,000 offshore businesses, their shareholders and directors. The names of these owners and shareholders included political leaders, parliamentarians, top bureaucrats, military personnel and even famous footballers and other celebrities. 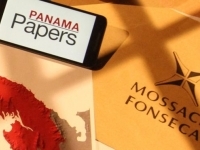 The documents were from Mossack Fonseca, which was a law firm based in Panama, and it operated for its global clientele which included wealthy and elite and helped them to evade taxes and circumvent international sanctions. An anonymous source leaked the papers to the German newspaper Süddeutsche Zeitung back in August 2015, which then forwarded it to the U.S.-based nonprofit International Consortium of Investigative Journalists (ICIJ). 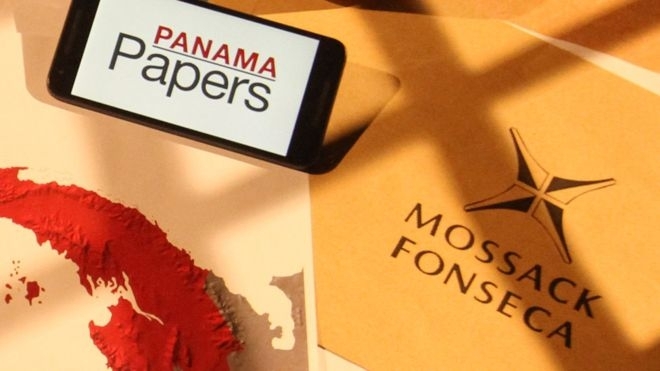 Hundreds of journalists in more than 80 countries were subsequently provided with the documents, leading to the news breaking out in early April 2016. Financial corruption has been going on for as long as businesses have existed; however, what’s different in the Panama Papers scandal is the scale of the operation; the revelation that elite and wealthy from all societies are involved in the scam and in many cases law makers and implementers, who were supposed to ensure that citizens of their countries dutifully follow the taxation and other legal orders, were also the ones hording money in offshore companies. Furthermore, this was not an amateur operation involving smugglers who carry suitcases full of money into Switzerland. Among those who have acted as middlemen for the elite we find some of the largest banks in the world, such as HSBC, UBS, Societe Generale and Credit Suisse. The involvement of banks and financial institutions to help the elite siphon money from their economies and channel them into private accounts has given a rise to the already existing concern that the international economic system of Capitalism could go through a tipping point, especially after the many knocks it had to face in the recent financial crisis of 2008. Capitalism’s pathway could be leading towards the situation of a crises caused by increasing inequality in the society and fragility of the economies of developing as well as developed nations. The Panama Papers could help us understand the reasons behind the inefficiencies and failures of the economic system. Through the Panama scandal we clearly see that through loopholes in domestic taxation rules and disparities in international tax regimes, globalization has allowed individuals and corporations “the 1 percents” to freely move their capital and assets to tax havens while the majority of the population, mainly working class folks from third-world countries “the 99 percent”, are not allowed the same freedom. Globalization, which was supposed to be about the freedom of movement for people, goods, and capital, turned out to be working mainly for rich people and large corporations, while the remaining populations is working as subjects for the elites. The result is global tax evasion, the off-shoring of labor, and elite that flies 35,000 feet over the problems of nation states and the taxpayers within them. Looking back at the post financial crises situation in the later years of 2000s, many countries across the world, and much surprisingly the North American and Western European nations which are often regarded as “rich and developed”, erupted with protests aiming to end the extreme inequalities. Many of these protests were termed under the umbrella of “Occupy Movement”, where protestors, often young and college graduated, took to streets. The phrase “1 percent vs. 99 percent” was popularizes in these occupy protest and were heard around the major capitalist cities of New York, London and Madrid including many others. And to understand the relation better between the financial crises and the Panama Papers and the underlying economic structure which has enabled this polarization in the first place, we can take a look at the most high profile case of Panama saga, the Ex Prime Minister of Iceland, Sigmundur Davíð Gunnlaugsson. In the papers he was revealed to have owned a shell company, Wintris Inc. with his wife since 2007 on the tax haven of the British Virgin Islands, where he invested millions of dollars to avoid paying taxes. The company held bonds worth millions of dollars in Iceland's three biggest banks during the crisis of 2008. Although he initially rejected any claims of him owning Wintris he eventually had to resign following demonstrations from a large part of Icelandic population. Only through Panama Papers we came to know that the public money that was used to bail out banks after the crises was going into the private hands of politicians such as Mr. Gunnlaugsson and other influential policy makers in other countries. What future does the international political and economic field holds? The popular sentiment is headed towards a re-evaluation of how the free-market system works and how it doesn’t work. The debate over free trade is also to be made part of the re-evaluation. The campaign against tax evasion can only be fought on a global level. There also needs to be intense scrutiny about the ease with which financial capital can move around the world. Otherwise we could well be on our way to Capitals next big crisis.